NASHVILLE, TN — The Nashville Symphony invites local students of diverse backgrounds to audition for Accelerando, its education initiative designed to prepare gifted young musicians from underrepresented ethnic communities for pursuing music at the collegiate level and beyond. Currently in its second year, Accelerando engages individual students in grades 5-11 over a multi-year period with extensive instruction, performance and learning opportunities, and will also offer students and their families assistance with applying for collegiate music programs. All services are provided free of charge. 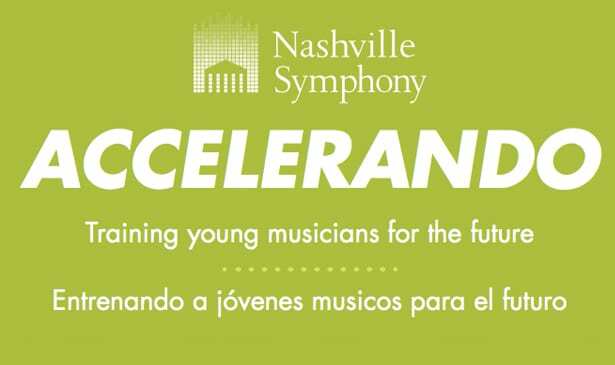 To be considered for Accelerando, students must fill out an application form at: https://www.nashvillesymphony.org/education/accelerando/accelerando-application and perform a live audition, during which they will be given 10 minutes to demonstrate proficiency on their instrument. Auditions will be held on Saturday, March 3, and Saturday, March 10. The Nashville Symphony will contact applicants with a scheduled audition date and time following the application deadline on February 16. Previous articleNBC’s America’s Got Talent Coming to Nashville This Saturday!